When a skater’s career comes to an end, they are often faced with a difficult choice about how to proceed with their life. Some want nothing more to do with the sport, worn out by years of training and competition, some want to stay connected just on the periphery, while others will throw themselves full force into enhancing it. 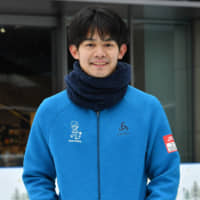 Takahiko Kozuka, the 2011 world silver medalist and 2010 Olympian, is in the latter group. The Nagoya native, who will turn 30 next month, retired in 2016 after a long career that saw him win the world junior title in 2006 and earn several senior Grand Prix medals. Kozuka literally grew up in a skating family, as his father Tsuguhiko represented Japan at the 1968 Grenoble Olympics, his mother Sachiko was an ice dancer, and two of his aunts were skaters as well. Kozuka’s grandfather Mitsuhiko was also a significant figure in the early days of skating in Japan. 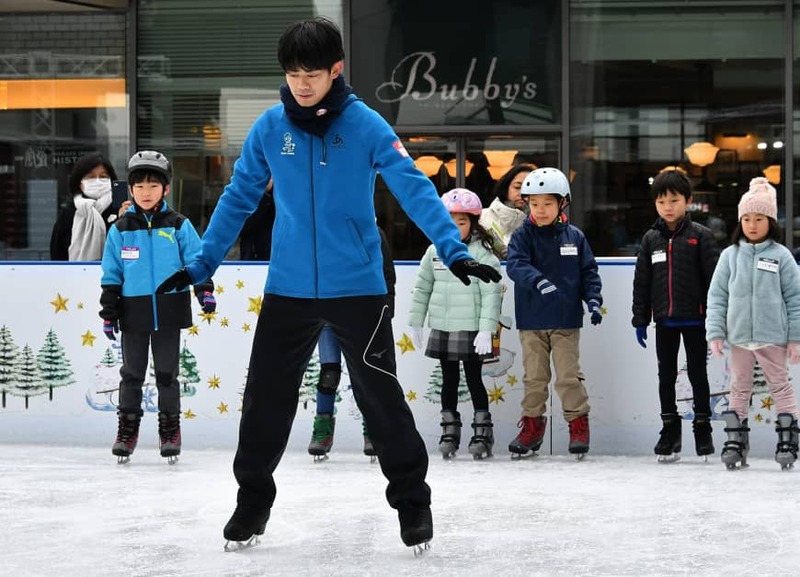 For the third consecutive year, Kozuka is conducting his Kozuka Academy on weekends in Futako-Tamagawa in Tokyo, instructing both children and adults on the fundamentals of skating. Following a recent session, Kozuka spoke to Ice Time in an exclusive interview that covered a wide range of topics, including his skating school, his creation of a special blade to help elite skaters, his thoughts on the genius of Yuzuru Hanyu and more. 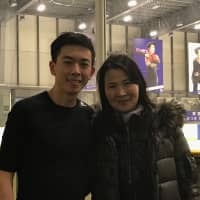 Kozuka, who also does skating commentary for Fuji TV, admitted he wasn’t sure what the interest level would be when he launched the project (kozuka-academy.com). Kozuka, who was second at the Grand Prix Final in 2008, introduced a special high-strength skating blade last spring that was created in order to make it easier for top skaters to train. Kozuka Blades is a collaborative effort with Yamaichi Hagane Steel. “When I was a competitive athlete, I met with Yamaichi Hagane and we started to develop it together,” Kozuka stated. “I wanted it to be attentive to the needs of skaters. The blades are being made in Japan. Kozuka, who skated for the Hinomaru seven times at the worlds, said frustration during training sparked the concept for the new blade. Though it was created with the elite skaters in mind, Kozuka has made the blades available to everyone. Despite practically his entire family being skaters, Kozuka said he wasn’t forced into the sport despite being an only child. Like so many before him, it was the sight of another Japanese skater competing in a global competition that sparked his interest. “I began skating when I saw Yuka Sato win the 1994 world championships in Chiba,” Kozuka stated. “One of my dreams was to be like her and skate in the Olympics and world championships. Ice Time asked Kozuka if he ever thought he would see the day when Japan would become so powerful in the sport on the world stage. “Nowadays figure skating competitions are televised in the golden time (prime time) like at 7 or 8 p.m. When I was a junior high student they were shown at midnight and only in the digest form,” Kozuka commented. “At that time, nobody thought the popularity of figure skating would grow this much. I wanted to know what Kozuka thought was the reason for Hanyu’s greatness. “We can’t talk about Hanyu-san with common sense. He is always overthrowing the prevailing opinion,” Kozuka said. “He thinks one step ahead. He thinks about a quad axel or quintuple jump. Ice Time wanted to know if Kozuka envisioned himself as a full-time coach someday, traveling the junior or senior Grand Prix circuit in the future. “I’m not thinking about coaching now,” Kozuka stated. 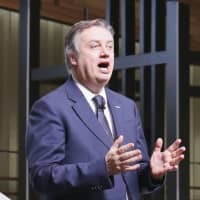 “What I learned from my parents and the Satos (Nobuo and Kumiko) was precious and I want to transmit those techniques to the next generation. Kozuka wants to pay back the sport that has given him and his family so much. Kozuka worked with several prominent choreographers, including David Wilson, Shae-Lynn Bourne, Lori Nichol and Marina Zoueva, during his career and I wondered if he had a favorite. I wanted to hear what Kozuka felt was the toughest part of being a top skater. 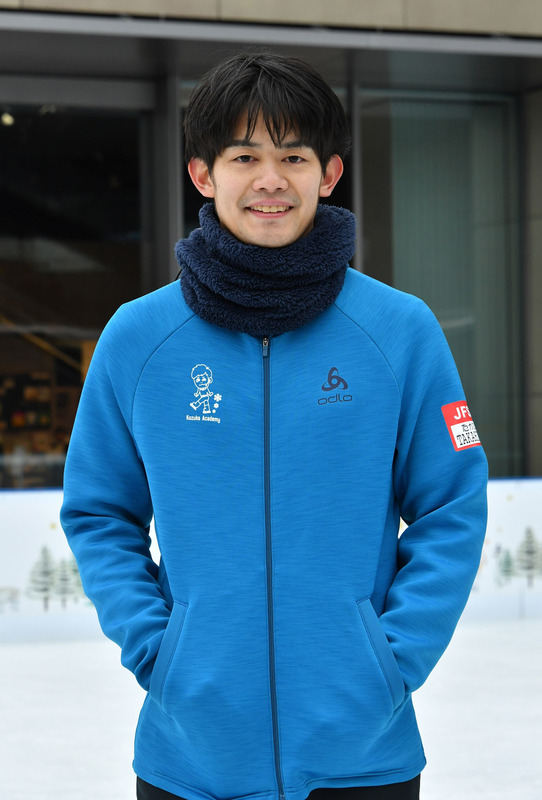 “The most difficult thing was not the training, because I love skating,” Kozuka noted. “The mental part was tough —what I could do and couldn’t do. When I had something I could not do or I had an injury, I had to be patient and think one step ahead. Kozuka considered Mao Asada and Daisuke Takahashi his best skating friends. Kozuka then told a funny story about his foreign skating friends. Having enjoyed a highly successful career, I wanted to know what Kozuka considered the pinnacle to be. “Being an Olympian was one of the highlights of course, but moreover, the performance at the 2011 worlds is my personal highlight,” Kozuka noted. “That year the big earthquake occurred and the worlds were moved from Japan to Russia. 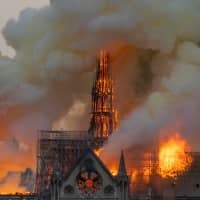 So the world, including Russia, supported Japan very much. I inquired about Kozuka’s thoughts on seeing his former competitors like Takahashi and Sergei Voronov still going strong in their 30s. How about the junior Russian girls landing quads? “It’s like when skaters like Nathan Chen, Yuzuru or Shoma (Uno) started jumping not just quad toe loops or salchows, but also flips or lutz,” Kozuka stated. “Skaters realized they could do it or try to do it when they saw another skater do it. Kozuka also gave Ice Time his thoughts about Rika Kihira’s quick rise in her first year as a senior. Kozuka cited the burden of cost on elite skaters when I asked him about the challenges facing those at the top. “Having parents who were skaters, they could point out when I was being lazy, but they could also understand my feelings and I thank them for that,” Kozuka commented. “The most difficult part of being a competitive skater is the cost. It is expensive to be a competitive skater. 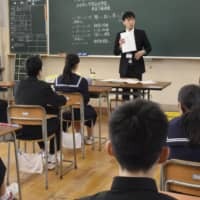 “If you succeed, you have can sponsors that support you and you can return the favor to your parents,” Kozuka continued. “I’m fortunate that my parents were patient until I got sponsors. Ice Time concluded by wondering what advice Kozuka would give to young skaters who want to reach the heights that he did.